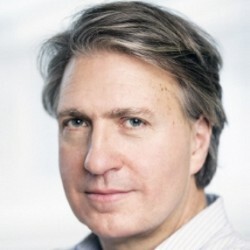 Stephan Shakespeare is CEO and Co-Founder of YouGov plc. One of the pioneers of Internet research, Stephan has been the driving force behind YouGov’s innovation-led strategy. In 2012, Stephan was appointed by the UK Government to chair the Data Strategy Board, a ministerial advisory board. Shortly thereafter, Stephan was asked by the UK Government to lead an independent review into the growth opportunities of, and how to widen access to, the wealth of information held by the public sector; the Shakespeare Review was published in May 2013. In 2015 he established the YouGov Centre for Public Policy Research at Cambridge University. He is a trustee of the National Portrait Gallery. The Social Metrics Commission is an independent Commission formed to develop a new approach to poverty measurement that both better reflects the nature and experiences of poverty that different families in the UK have, and can be used to build a consensus around poverty measurement and action in the UK.